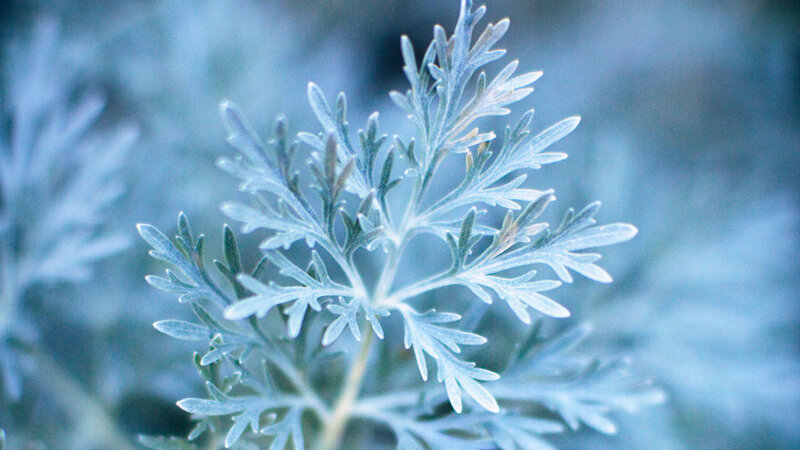 Grown for their silvery, lacy-looking leaves, these artemisias take poor soil (as long as it is well drained) and thrive with little water once established. To keep clumps from flopping, cut old growth back by a third each spring. Wormwood (A. absinthium ‘Lambrook Silver’). Borne on erect stalks, the 2- to 5-inch, finely divided, silvery gray leaves have a strong, pleasant fragrance. Plants reach 1 1/2 feet tall. A. ‘Powis Castle’. Covered with foliage so finely divided it looks fluffy, this one resembles a mounding, silvery fern and offers a nice contrast to many plants in both form and color. It soon reaches 4 feet high and wide, so give it plenty of room. In the coldest climates, take cuttings in the fall and replant new plants each spring.